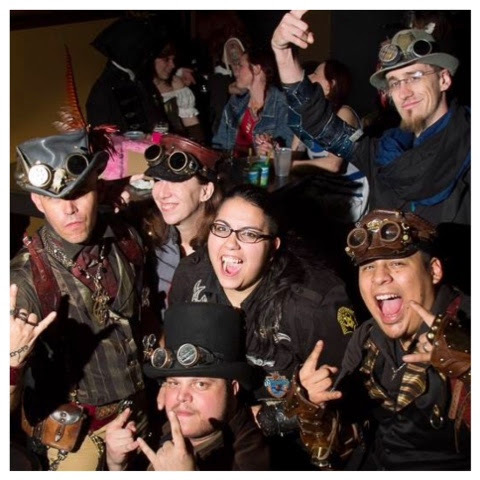 We recently attended our first gathering of the League of Cincinnati Steampunks at their monthly salon (now held at Molly Malone's in Covington). Nearly 200 fantastically attired folks of all ages got together to enjoy an evening of conversation, food, spirits, music, and dancing. 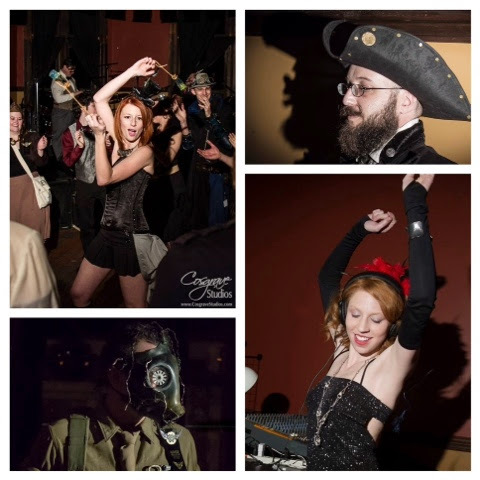 Entertainment provided by the band Automaton, and later DJ Eats Unicorns mixed some jazzy tunes. The night held a special meaning for one attendee in particular. The "Save Dave" raffle, held earlier in the evening to benefit a well loved member of the local Steampunk family recently diagnosed with MS, was quite successful and I'm proud to say I won some fantastic shoes as well as a free haircut! What a fun night! Thank you everyone for welcoming us. 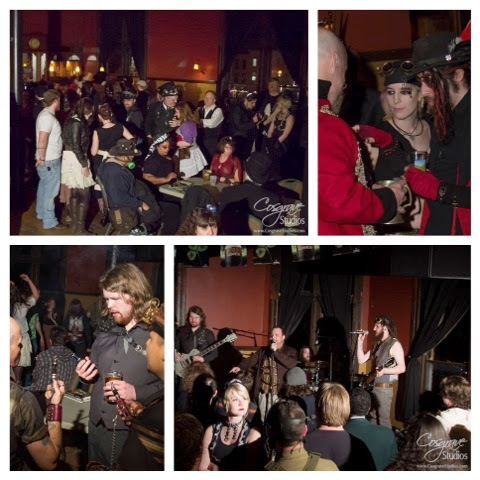 Big shout out to Josh at Molly Malone's and Aloysius of the Pandora Society for hosting, and Emma Peelout for pulling together the raffle!